In studying the spread of infectious disease, Lydia Bourouiba questions everything. This includes the accepted WHO classification of droplet-based contagion, as defined some 80 years ago. “There’s a dichotomy that plagues how we see transmission right now—large droplets versus aerosols—because it’s way too simplistic and could be deceiving,” says Bourouiba. In the 1930s, seminal researcher William Wells introduced the concept of suspended small droplets, still considered the respirable villains in aerosol transmission. All this results in a soup of variables almost too complex to fathom. 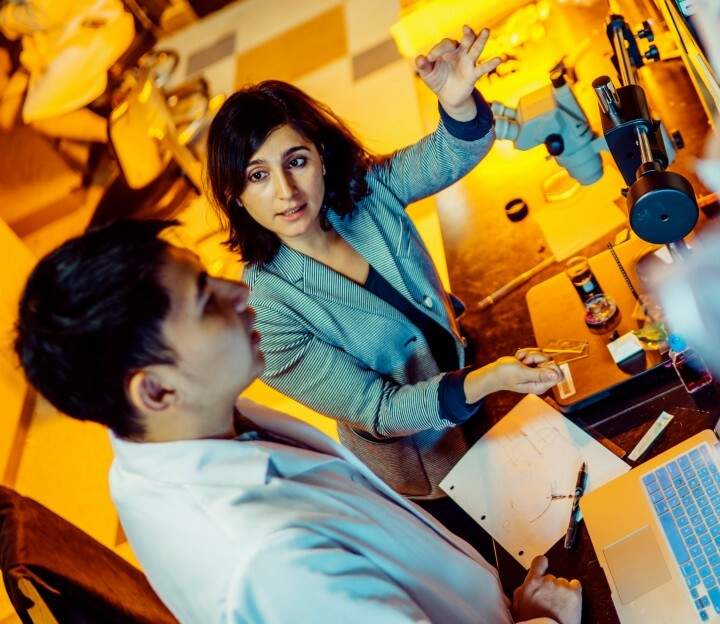 Yet through high-speed visualization methods (pioneered at MIT by Harold “Doc” Edgerton), fluid dynamics experiments and theoretical models, Bourouiba’s group has gained new insights into the reach of a sneeze and its turbulent cloud. And a new window into the in-host dynamics of infection. “To see those high-speed images was amazing, because I could see that if we tackle this properly, it could root epidemiology in fundamental physical mechanisms, not just phenomenological models and statistics. It could finally help link breakthroughs in immunology to human-to-human transmission and population-level epidemic,” says Bourouiba. Such inquiry leads to more complex questions about what can make a disease more or less infectious. And under what conditions. “Think about Ebola in Western Africa in 80% relative humidity and high temperature versus a similar outbreak in a drier environment. The environmental conditions would change the range of the aerosol cloud and its payload, as well as what happens to the droplets and their pathogens,” she says. By methodically tackling questions of pathogen transport, the spread of many infectious diseases could be unlocked. Other areas of Bourouiba’s focus include: communal diseases from contaminated water in hospitals, enrichment of pathogens through bubble-bursting, the breakup of mucosalivary fluid that creates droplets—and even the spread of agricultural pathogens through proximity, rain and fluid-based processing. Bourouiba hopes to help pave that path. Bourouiba’s ultimate vision roots epidemiology and public health policy firmly in the tools, methods, insights and mechanistic knowledge honed over centuries in the physical and mathematical sciences. For more information about the Bourouiba Group visit lbourouiba.mit.edu.